Classic Cloth Dolls: Beautiful Fabric Dolls and Clothes from the Vogue Patterns Collection shows novice doll makers how to create their very own beautifully crafted 18" cloth dolls. The first few chapters cover all the basics of creating your own treasured heirloom, from sewing and stuffing the doll to painting its face, while expert tips on painting, sewing and stuffing assure that enthusiasts of all ages can achieve the very best results. 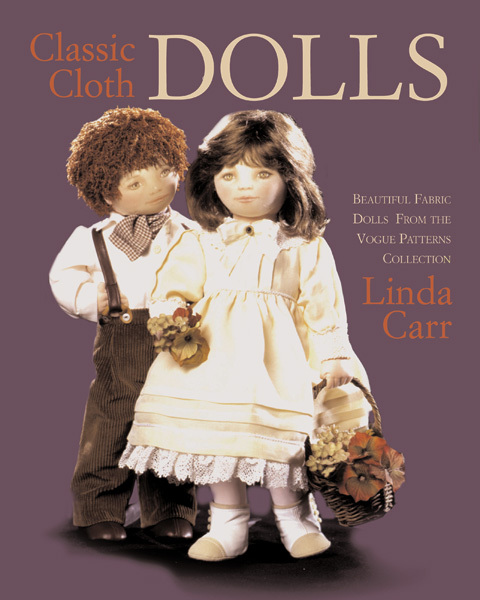 Author Linda Carr also devotes a section to classic outfits for your doll. Whether you're interested in creating outerwear or nightclothes, bloomers or boots, each elegant design includes step-by-step instructions and elegant how-to drawings. The book also includes pattern pieces and a complete list of tools and materials.